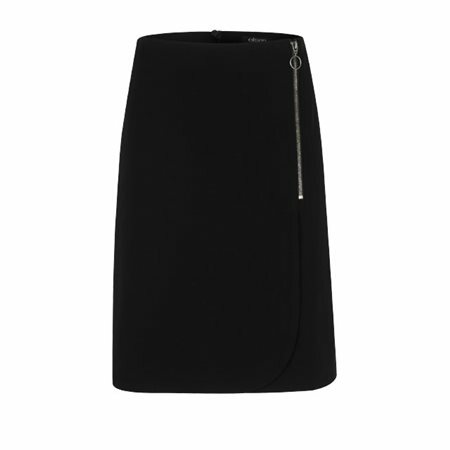 We love this elegant short black skirt by Olsen, it has a cute wrap effect with a silver coloured zip. The soft jersey fabric makes it very comfortable to wear and the design makes it a great choice to show off your legs. Pair it with a trendy top or pullover form the new Soul City collection by Olsen.